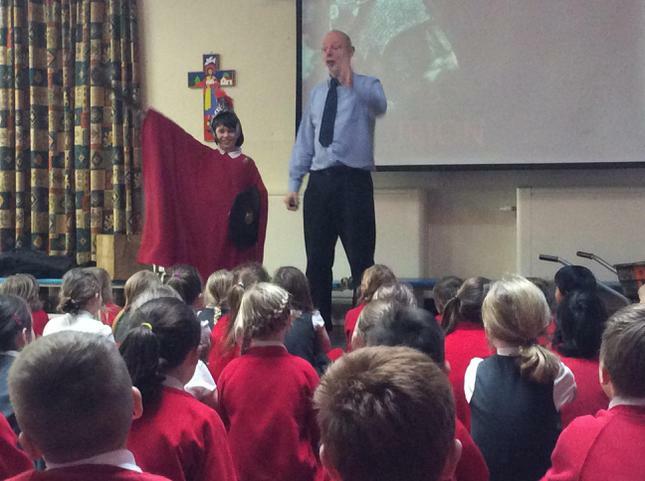 We watched a Bible Encounter assembly based in the theme of faith. 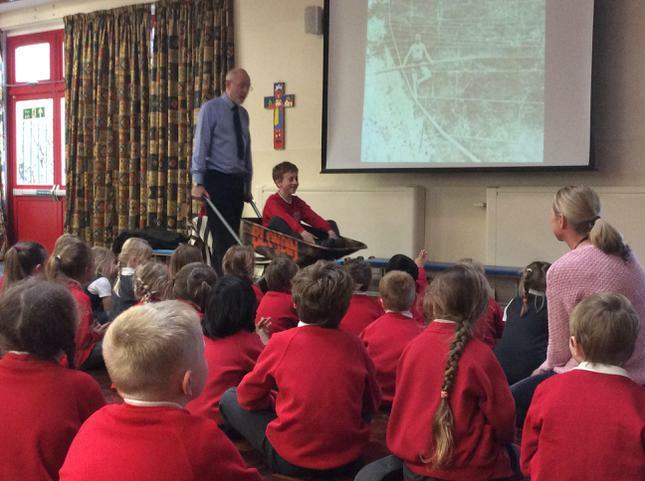 Mr Frazer told us about Blondin, who tight rope walked over Niagara Falls with a wheelbarrow. Lewis took the part of a spectator who had faith in him to get in the wheelbarrow! Hugo was a centurion who had faith that Jesus could heal his sick daughter.